Queue up "Stranglehold" for your drive to Sullivan, Cage Champs is back this Saturday. Patrick Smith's long running amateur promotion is back at the Eagles Hall with one of his best cards in recent memory. Headlining the show is Mike Offer and Denver Sells in a battle of two big guys who like to slug it out. Offer has "turn out your lights" power while Sells, once considered one of the area's best amateurs, is a very dangerous and well-rounded fighter. Sells will be eager to shake the memory of his last fight in the Cage Champs cage when he was defeated by Jeremiah Curtright in a highly anticipated match-up, and was set to take on Tra'von Butler this past spring, but the bout was scrapped the week of the right. Offer should have an edge on the feet with his power and range, but Sells will be a clear favorite if he can put Offer on his back. As popular as Sells is in Sullivan, this should be an exciting fight for the fans in attendance. KO artist AJ Graham will face LC Hamid in a bantamweight title bout. Graham has collected a list of first round knockouts but will have his work cut out for him with Hamid, now training at Watson's Martial Arts. 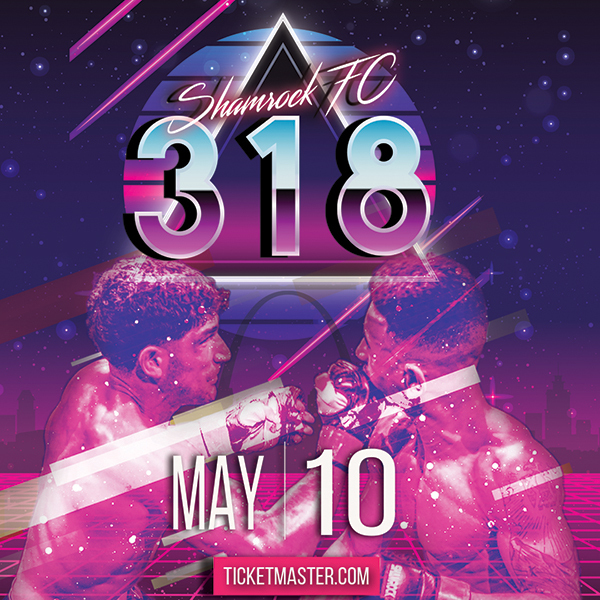 Hamid gave St. Louis' Ammy of the Year, Sam Paneitz one of his toughest bouts last year, and should be considered the favorite in this match-up simply because of his definitive edge on the ground. Rising star Orlando Sanders out of "Brazlian" Mike Rethymeyer's gym in Belleville puts his undefeated record on the line against Jeremiah Curtright. Sanders has been wowing the crowds in Sullivan with impressive performances against Nathan Stearns and Khris Gonzalez. In the match-up with Stearns, Sanders thoroughly dominated the bout with a smothering ground attack, before eventually winning via rear naked choke, his second straight RNC for Cage Champs. Curtright put on a performance of the year last summer against Kevin Roper, before later defeating the aforementioned Sells in his most impressive win to date. On paper, this bout has all the makings of a show stopper. Willie Henderson and Rodney Cotton, and Dane Wilson and Brandon Walker will battle in a pair of kickboxing bouts. Rounding out the main card is the physically imposing Toby Gvillo taking on Steven Griggs in a light-heavyweight match-up. On the undercard, keep your eye on Evan Whited versus Devin Anderson. Anderson is on quite a hot streak winning 8 of his last 9 MMA bouts, including a couple first round stoppages in Sullivan. Whited (4-1) is a machine and could be the toughest fighter Anderson has fought yet. Whited's physicality could be the difference maker in this one. 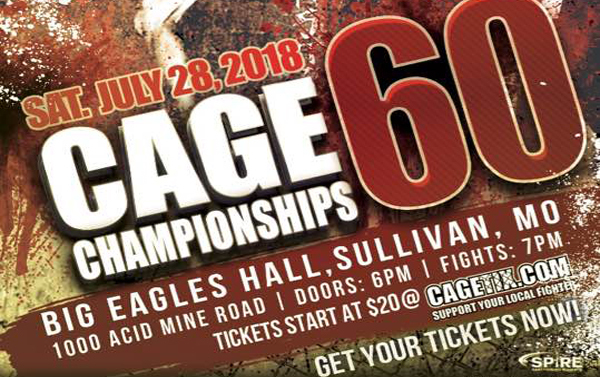 Local Cage Champs and Nemesis Fighting Alliance legend, Bill Dwyer will face Will Monroe in Dwyer's first trip back into the cage in a couple of years. Tickets available from cagetix.com or at the door.